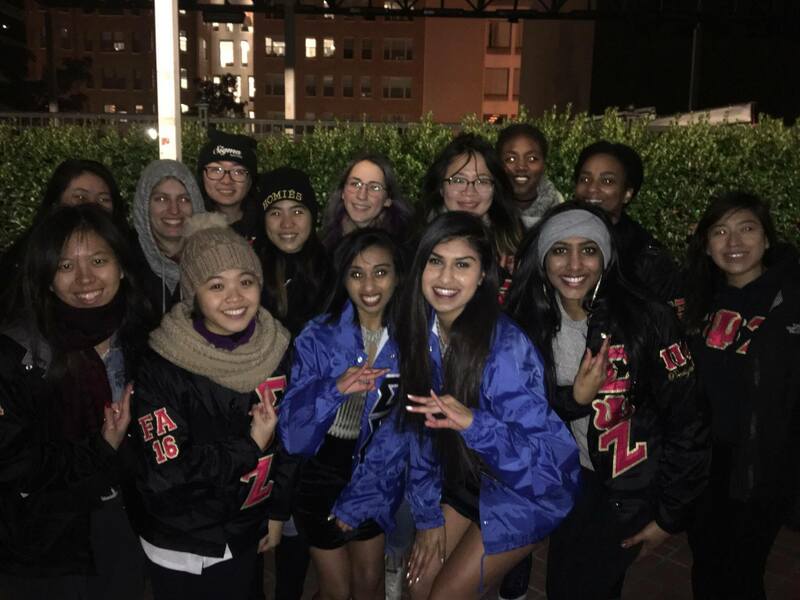 Probate is a proud, long-held tradition within the Multicultural Greek community. It is the opportunity during which new members of an organization are introduced to the rest of the community. It’s a time for the entire Multicultural Greek community to come together and take part in an important event in the new life of a brother or sister. 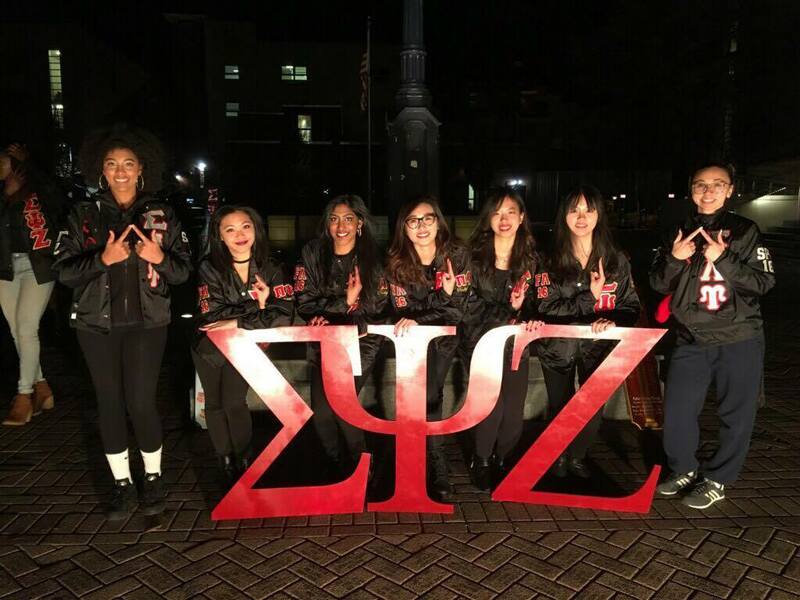 The Psi Class meeting the sisters of Sigma Lambda Upsilon, Señoritas Latinas Unidas, for the first time at their Fall 2016 probate. For those who’ve witnessed a probate before, you pretty much know what happens: the new members present the history and core values of their organization, greet the other fraternities and sororities in attendance, and are then unveiled to the rest of the community as the Neophyte or “Neo” members of their organization. To an observer, a probate may seem like a fun event that lasts only 20 or 30 minutes at the most. For those new members probating, however, it feels like a much longer event filled with a unique swell of emotions. Probate, like any well-executed production, requires hours upon hours of practice. It takes a lot of time and effort to memorize the history of an organization, the names of all the organizations in attendance, and a (quite lengthy) introduction. 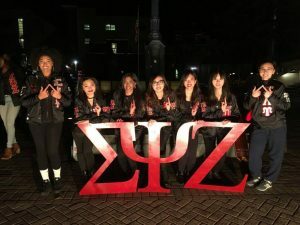 Practice for probate takes a couple of weeks and the debuting class spend hours upon hours memorizing, prepping, and getting hyped for their big reveal. Of course, spending so much time can put a strain on anyone’s nerves, but on the big night, you’re all there for each other, ready and willing to support one another. Sigmas support the Alpha class of Sigma Sigma Rho, a South Asian sorority, at their very first probate. The long march in the beginning signaling the arrival of the class seems like an eternity as the class crosses the threshold to the probate location. You march into position, face the shadows of the crowd behind the blinding lights, and prep yourself. The performance is about to begin. The ace stomps twice and from that point on the probate takes off like a gunshot. With each skit you perform, you feed off the audience’s energy, relishing in the cheers coming from the crowd. You speed through the memorized portions of probate, hoping that no one noticed that you flubbed up a little here or there. The finale soon arrives. Each member is unmasked before the Multicultural Greek community and individually introduced for the first time. This is the chance to make a lasting impression, the chance to show the world who you are, who you’ve become after you’ve embarked on this life changing process. You finally get to scream out loud and proud of your being a part of an amazing organization, finally get to announce who your Big is, finally get to share your cherished nickname with all to hear and to remember. Once all of the neo members have been unmasked and introduced, what’s left to conclude the exhilarating night is the chapter stroll, the first of many for the newly crossed class. From this point onward, their lives will be forever intertwined with the organization to which they pledged themselves.